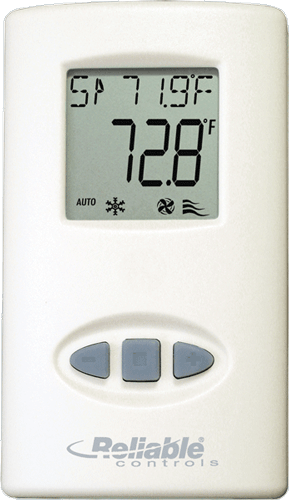 In addition to standard computer PC and Laptop interfaces, the Reliable Controls MACH-System can be accessed and changed by operators using a series of easy-to-use product interfaces. 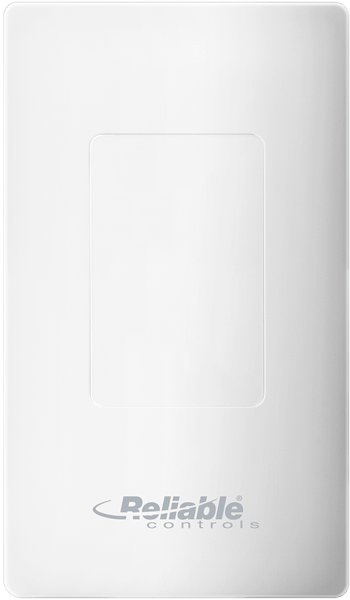 A complement to any room, the Reliable Controls SMART-Sensor (SS3-E) Electronic Paper Display (EPD) delivers a modern, networked sensor solution that allows you to connect with up to ten configurable parameters related to your space. 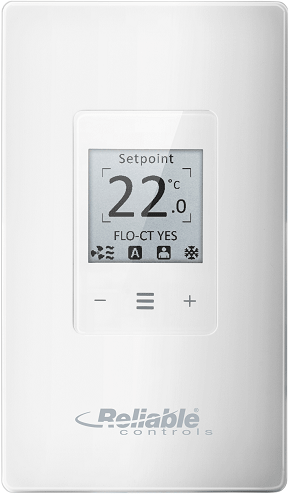 A complement to any room, the Reliable Controls SMART-Sensor LCD (SS-L) delivers a communicating sensor solution that allows you to connect with up to ten configurable parameters related to your space. 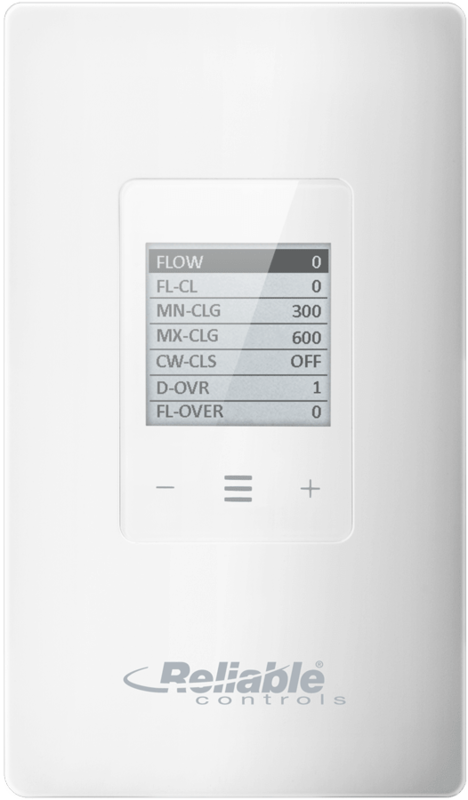 A complement to any room, the Reliable Controls SMART-Sensor (SS3) delivers a modern, communicating-sensor solution that allows you to connect with up to ten configurable parameters related to your space. The Reliable Controls SMART-Sensor Duct (SS-DUCT) is a versatile sensor that communicates digitally, saving hard inputs in your host controller. The SETUP-Tool is a powerful, microcomputer-based interface required to configure the MACH-Air and the MACH-Zone. 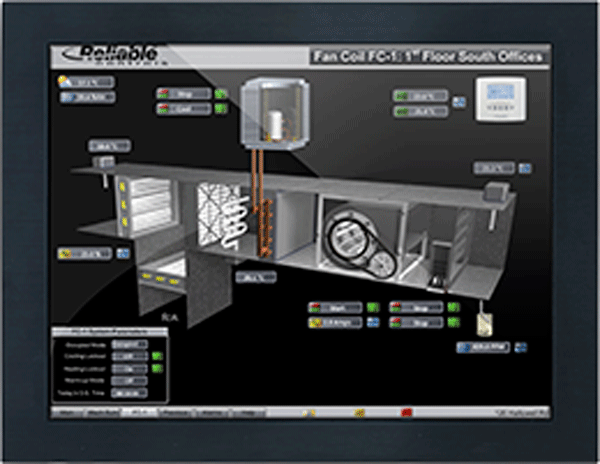 Optimized to deliver high luminance and enhanced performance, the Touch Screen Panel-i5 (TSP-i5) is a compact, touch panel computer with an embedded Microsoft Windows operating system, ideal for Web browser, kiosk, and all other Human Machine Interface (HMI) touch applications. Optimized to deliver high luminance and robust performance, the Touch Screen Panel-Celeron (TSP-Celeron) is a compact, touch panel computer with an embedded Microsoft Windows operating system, ideal for Web browser, kiosk, and all other Human Machine Interface (HMI) touch applications. 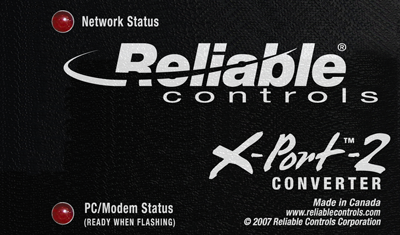 The Reliable Controls X-Port 2 converter is a convenient communication device which provides an extra EIA-232 port to any MACH-System controller.